Those coming new to the study of law are facing a rapidly changing legal profession. The ability to create Alternative Business Structures (ABS) is one of the factors driving this change. At present there is little in the way of organised research to enable students to find out what the impact of their creation is on the ways in which legal services are delivered. 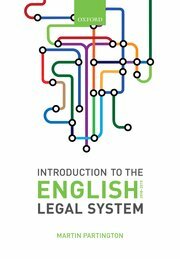 But the Legal Futures website (see links at the side of this page) is a good place to start finding out what is happening. I last wrote about developments with ABS in March 2013. I was commenting on the report of the Solicitors Regulatory Authority on its first year of operation. I noted that the number of ABS licensed by the SRA was then over 100. Since then, numbers have continued to rise. Now (August 2013) the current total is 183. And there are some big beasts waiting in the wings who have started the process of applying for a licence under the scheme. Most notable is the application by the Direct Line Insurance company – the largest motor insurer in the UK – to apply for an ABS licence. This has been done in partnership with a legal practice Paribas Law – which itself was one of the early firms to achieve an ABS licence. At least part of the reason for Direct Line seeking to do this is that, with the abolition of referral fees (from which it derived a lot of income) it now wants to provide the legal services that arise out of accident claims itself. But developments in the ABS are not limited to high profile applications such as Co-op Legal Services or BT or now DLG Legal Services (which is the commercial name being used by Direct Line in its application). At the other end of the market a number of existing providers of legal services at the social welfare end of the market have been contemplating how ABS might help them sustain their services, facing as they are huge cuts in publicly funded legal aid. Leading the field here is the legal advice charity in Leicester, which in April 2013 became the first not-for-profit organisation to set up an alternative business structure (ABS). The Community Advice and Law Service (CALS) won approval to launch Castle Park Solicitors Community Interest Company, whose profits will go to support the continuing work of the charity. Research carried out by Warwick University earlier this year suggested that around 20% of existing advice centres are likely to explore this option. It is far to early to conclude from this example that the ABS will fill the funding gap left by reductions in legal aid. But it does show that those lawyers who are dedicated to providing legal services to the poor are being innovative in the light of public expenditure cuts. To date I have only commented on ABS approved by the SRA. But it should be remembered that the Council of Licensed Conveyances also has authority to license ABS applications for companies supplying conveyancing services. To date, 38 licences have been granted.